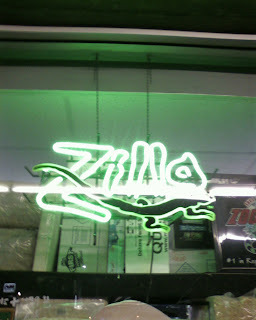 I have a nickname for our youngest daughter, Katherine: Zilla. This nickname evolved from a nickname given by my brother-in-law: Fluff. Fluff turned to Fluff-monster, which I changed to Fluff-zilla, which then later was shortened to Zilla. This was more than a year ago, and now I've been seeing more and more people stealing her nickname!